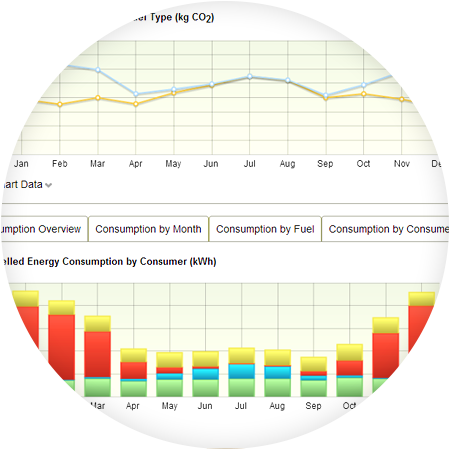 CO2 Estates software offering brings together data analytics and building science within the context of commercial real estate factors to deliver a platform that supports our clients to reduce energy consumption, improve the performance of their assets, and strengthen relationships with their tenants. Our cloud-based software, Carbon Estates, is a unique platform designed around the needs of large commercial, portfolio holders. By centralising all forms of energy data, sophisticated algorithms enable rapid insight into energy performance across thousands of buildings. Furthermore, the system’s intelligent simulation engine delivers retrofit strategies that tackle both energy demand reduction and energy supply opportunity identification. These strategies are fully costed, with anticipated annual energy savings and ROI for efficient, yet informed, decision-making, allowing us to advise on appropriate financing options for larger capital investments. We can then take forward this analysis through to delivery of identified improvement strategies and support continuous tracking of performance over time using Carbon Estates and our annual building energy audits. There are many stakeholders involved in the management of commercial real estate, and making decisions on energy efficiency improvements requires the right people with the right information. 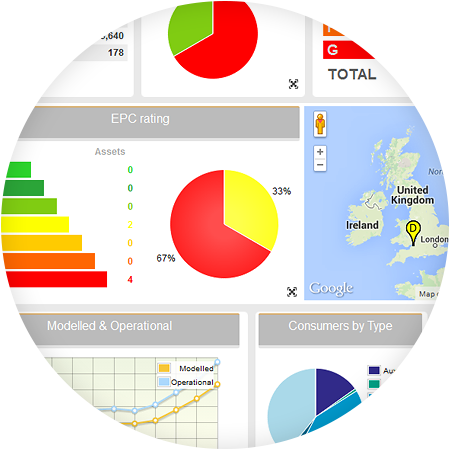 A real time interface showing the current status of your buildings, with customisable charts provides rapid insight into assets’ energy performance across your entire portfolio. Filter options enable information to be segmented to instantly generate bespoke reporting. Commercial Real Estate is dynamic, and when managing multiple properties, you need to plan improvements by looking at the whole picture. 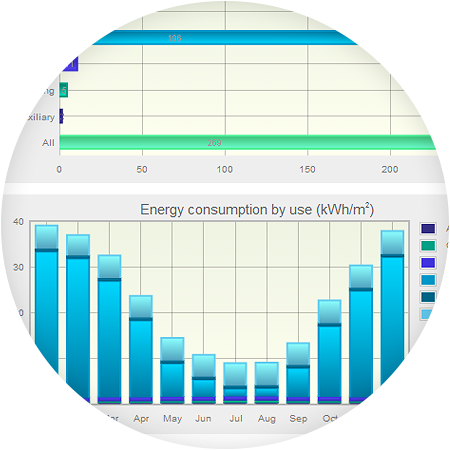 With our retrofit dashboard the user can aggregate energy efficiency improvement strategies to budget retrofits at various levels within the property management hierarchy. Managing energy efficiency is challenging when assets are spread throughout the world and encompass many different property types. Benchmarking is used to measure performance using specific property indicators, resulting in a metric of performance that is then compared to others in a fair and simple manner. The larger the data set, the richer the benchmark becomes. Portfolio wide, fund to fund or tenant to tenant benchmarking are all accommodated by Carbon Estates. This can be in the form of energy consumption, carbon emissions, energy cost or asset rating comparison. In portfolio and group benchmarking, the best and worst in class is presented, as well as the best and worst in class for the same building type (retail, offices, industrial etc). 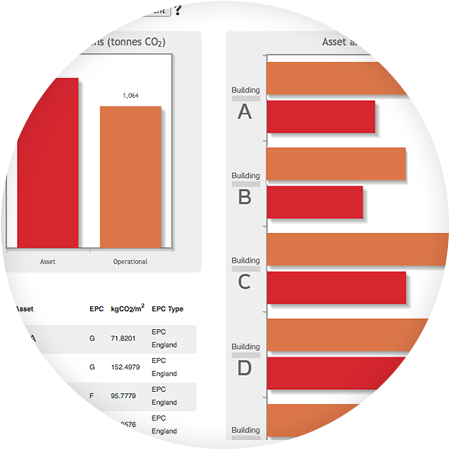 At asset level, assess site specific information on the asset to understand building systems and energy consumption. Gain insight into the building energy model, analyse the worst offending energy consumers, and draw comparisons between modelled and operational energy performance. A summary of the property is presented, detailing the address, total usable floor area, activity type, and asset rating. 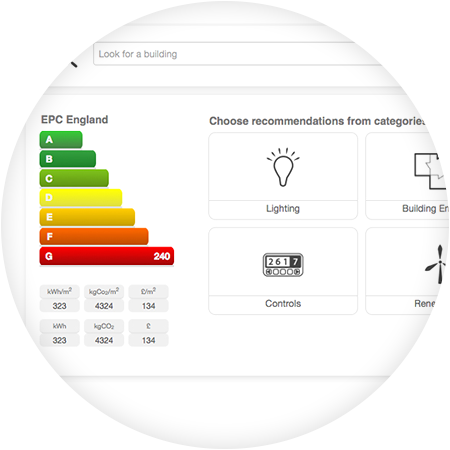 Supplementary to this, is a summary of all building zones designated within the energy model, their associated lighting, heating systems and areas. Not everyone involved in the management of a building has a background in engineering, but the impacts of poor energy performance will affect all and informed decisions need to be made. Our retrofit simulation interface is user-friendly, and supports the user in building bespoke retrofit packages. Alternatively, the system intelligently delivers automated retrofit strategies via our Asset Energy Report (AER), therefore providing you with the answer. The Asset Energy Report (AER) provides a comprehensive set of recommendations for the improvement of both asset and operational energy efficiency by determining how to deliver the quickest and most effective retrofit scenarios through setting of cost, energy and carbon saving targets. We offer the user three alternative strategies within the AER: the out of risk, cost effective out of risk and cost effective out of risk through limited inconvenience work items strategies.